Finest gourmet quality. Certified Organic/Bio-dynamic Produce. Great Taste! – our gourmet bio-dynamic meat was included in the West Australian food critic Rob Broadfield’s top 10 gourmet products of WA! Our beef is from naturally grass fed, free range Angus cattle which graze over "Boraning", our farm which has been bio-dynamic since 1988. Bio-dynamic is an enhanced organic method of farming whereby we use biological soil preparations to build soil life and health, and therefor the vitality of the plants and animals which live on it. We also use natural fertilisers and no chemical poisons or artificial fertilisers. 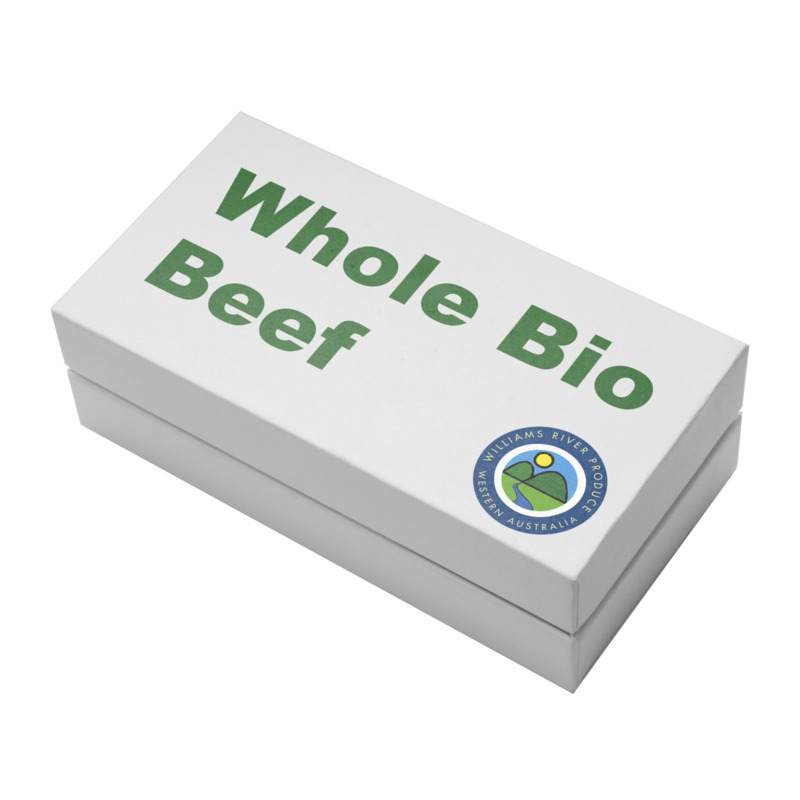 Our beef is grown without hormones, antibiotics, GM inputs, confinement in feedlots, grain feeding or veterinary drugs and chemicals. And that you can taste! When Rob Broadfield (Twitter) picked our meat into the top 10 of Western Australia, we were so grateful that our input and vision paid out and got recognised through the taste and quality of our produce. And people are waking up, wanting higher quality food for better health and taste. They get back up from contemporary scientific research, claiming the benefits of biodynamic and grass fed meat. Every month you will have the chance to get your freezer filled with our biodynamic premium meat. To ensure 100% quality and freshness, we'll pick every month our best animals to go to our certified abattoir. This means the best quality and freshness for you, less stress and impact on the animals and it gives us the time to care for our animals and the farm. That means, EVERYONE IS A WINNER! We want to encourage you, to buy in bulk and share it with your family, friends or neighbours. For us it means that you will make our work much easier which we want to reward with discounts and free delivery in and around Perth. This offer is very limited due to our numbers of animals every year. Having less numbers of cattle is one of our keys of success in creating the highest quality meat possible. 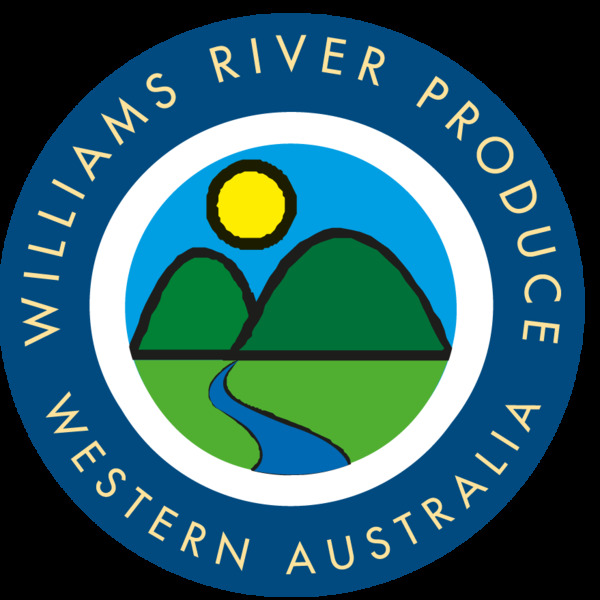 Williams River Produce is owned and run by Kelly and William Newton-Wordsworth who have been farming biodynamically for 28 years at their property, "Boraning" located half way between Williams and Quindanning, on the Williams River in Western Australia. Boraning is situated in the rolling hills of some of the most beautiful countryside in Western Australia, just two hours from Perth. Williams River Produce is a family business committed to clean, healthy agricultural methods and to producing the highest quality foods. Some of our best selling products include our Biodynamic Olives, Olive Oil, Pistachios, Beef and Lamb. A number of our products have been sold at some of the world's top gourmet food stores, including Harvey Nichols in London. The founders of Williams River Produce have 28 years of experience with making a real difference in their local environment in a number of ways. One of the most significant is their agricultural operation. On their property in Western Australia they have been farming almost 3,000 acres of land bio‐dynamically, using no artificial fertilizers or chemicals and bringing new life to tired soil. In a recent article 'Carbon Farmers of America', titled 'How we fix global warming', Allan Yeomans, states that "the greatest biological source of carbon dioxide feeding the greenhouse effect, comes from the destruction of the fertility of the world’s soils." Kelly and William Newton‐Wordsworth have been following the methods set out by Alex Podolinsky in Australia for almost 22 years. They have created a paradise on their property, growing biodynamic beef, lamb, olives, pistachios, many fruits and nuts and breeding horses for dressage, eventing and showjumping (www.williamsriverhorses.com.au). They are green pioneers, not only in biodynamic farming, but also in the move away from monoculture in modern agriculture to creating a diverse range of products and activities on the land. Kelly and William have also been involved in “greening the world” on their own property. In 2008 they won the Landcare award for their district. Kelly also won the “Australian Broadcasting Rural woman of the year award” for the whole of the great Southern region of Western Australia, in 1996. For many years they have been planting thousands of trees (over 100,000) simply for conservation purposes. In addition to planting native trees, with their additional desire to green their farm in a commercial way, they have planted thousands of “food producing” trees such as pistachios, olives, oranges, almonds, pecans and numerous other fruit and nut crops in smaller numbers. They have now turned their hands to producing products from these raw materials, such as olive oil, olives in brine, marmalade, fig jam, meats and pistachios, that they are wholesaling throughout Australia, and internationally. They sell their olive oil and marmalade at Harvey Nichols in London, with now interest from Harrods in all of their products. William and Kelly, have pioneered a microcosm of what is possible on a much wider scale. Having proved the validity of bio‐dynamic farming on all fronts, they want to now bring their knowledge and practical skills to the macrocosm. The theory, being that if they can succeed with this method of farming on 3,000 acres, then any farmers can do this. The Williams River Produce farm is nestled in the rolling hills of the Williams River Valley at “Boraning”, a picturesque 2900 acre bio-dynamic organic farm.